Dr. John Kua is a specialist in the areas of electric/hybrid vehicle technologies, clean energy storage, smart grid systems as well as the systems integration and design associated with these technologies. Dr. Kua's experience in engineering is extensive, covering the R & D phase to engineering development for commercialization. His main expertise is in engineering systems integration, as well as in program management and technology development (especially in electric and hybrid vehicle systems). 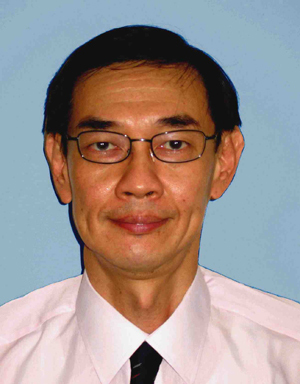 His experience covers many areas, including recent positions as Program Manager at the Energy Research Institute at the Singapore Nanyang Technological University (NTU), where he managed research programs in electric vehicles, such as development of core technologies and facilities required for electric vehicle research, and in identifying research collaboration with industry in selected electric vehicle technologies. Previously, he was program manager/Deputy Director of EPGC, a new research centre within A*STAR (Singapore's largest public science and technology research agency), that specialises in clean energy and microgrid research. He has also participated actively in Singapore government's Electric Vehicle Taskforce's three-year program with the goal to test a fleet of innovative EVs on Singapore roads and to evaluate its commercial potential. His key contribution is in providing technological inputs and assisted in developing a EV road test protocol for the test-bedding. Prior to these appointments, Dr. Kua has spent some years in China as an EV consultant and, as an independent technology entrepreneur has even developed his own AC electric vehicle drive system (50kW). Dr. Kua obtained his BEng (Hons) and MSc from the National University of Singapore and his PhD in Australia.